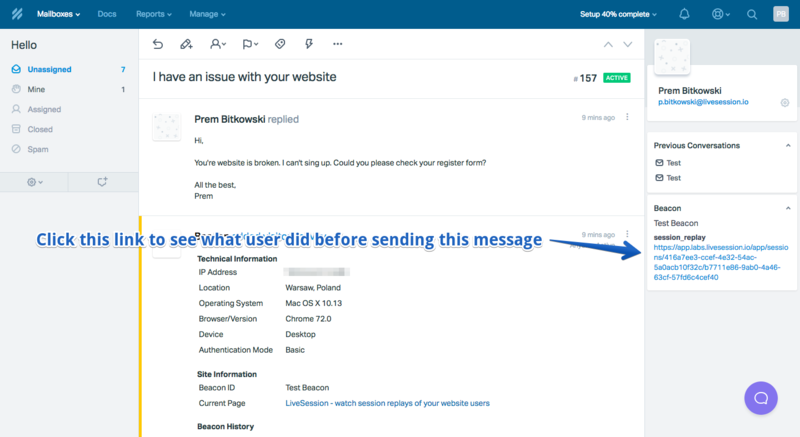 HelpScout is a handy support tool that lets you communicate with your users via emails. This software is useful when you want to collaborate with your team on customer service. It lets you share mailbox with teammates, so you can work on issues together. 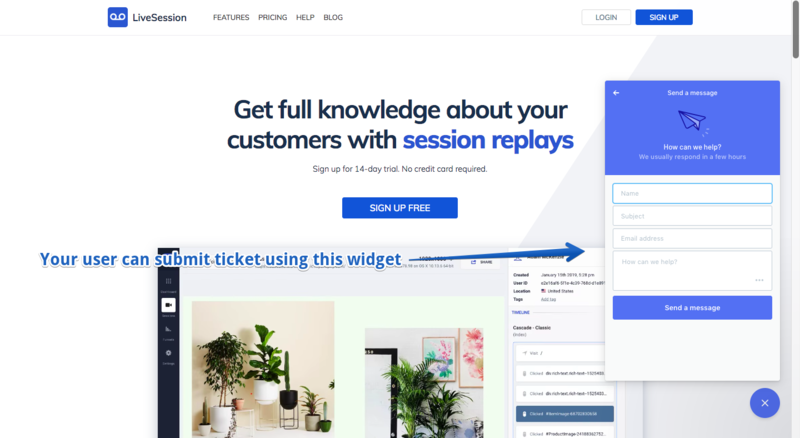 What’s more, you can use HelpScout to add email widget to your website, so people can use it to send tickets to your mailbox. It could be nice alternative to contact forms. It could be especially useful if you use user identification feature in LiveSession. You could then check entire history of session replays for specific customer. To make this work check this article. Do you want to minimize number of follow-ups sent to your customers? We guess you want, so let’s try it and make your job easier!